Our Artic training courses are offered to all individuals who require a Category C + E license. The C + E Artic class has the same gear box as the C class vehicle and cab layout so upgrading is not a large obstacle. The trailer is 36 feet long, two Axel on air suspension and has a ABS fitted. Due to our expertise and knowledge, we have found that the length of trailer is well suited on our large reversing area as well as town driving. With this in mind, practising the reverse manoeuvre for the test and ensuring you are at the highest standard of driving has never been more simple. We also practise the uncoupling and recoupling up to the trailer as this is now part of the test, our member of our experienced team will ensure the correct procedure is carried out and inform you on all aspects of this part of the test. Upgrading from class C to C + E has never been easier, call our team today on 0845 136 8147 or 07771 702066. 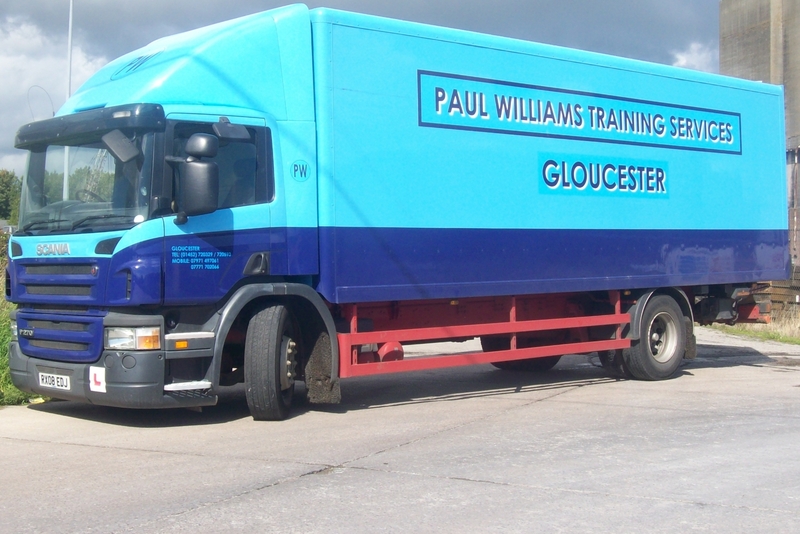 Paul Williams Training Services offer a professional coach and HGV training service to our customers in Moreton-in-Marsh. For our class [D] coach training we use a 55 seater, 12 meter coach which has a manual gear box with 6 gears and a large v8 Mercedes engine. For our HGV training we use a class C lorry and give individuals the ability to use our DVSA reverse area to ensure those manoeuvres are spot on ready for the test. We train in four hour lessons with you and one of our expert instructors, which enables us to help you learn faster and your confidence to maximise quicker. This course usually begins at 8:30am and finishes at 12:30pm or 12:30pm to 4:30pm. The number of days will be discussed at the assessment drive. Although we provide professional, reliable and thorough Artic training courses we also provide a wide range of other services. We understand that many of our customers want different aspects of training courses, some would like to have the ability to drive a horsebox, others would like to be able to drive a coach. We are DSA registered meaning we are fully knowledgeable and experienced to help our customers pass specific tests which are required. If you feel as though you require a service which we could potentially provide, please don’t hesitate to get in touch with us today on 0845 136 8147 or 07771 702066. If you would like to read some more reviews regarding our services visit our Facebook page or here. Ledbury is a Herefordshire market town, lying east of Herefordshire and west of the Malvern Hills. Ledbury has a significant number of timber-framed structures such as Church Lane and High Street, as well as the outstanding Market House which was built in 1617 and situated in the town centre. This is a town filled with beautiful and historic landmarks; take a visit up to Eastnor Castle and enjoy the amazing views or visit the famous Hellen’s which is a veritable treasure trove of history and artwork. If you are looking at activities for the little ones Glazydayz Pottery is a brilliant place to let children become creative and design something they love. Newbridge Farm Park is an amazing place to visit too, check it out here. Here at Paul Williams Training Services, our dedicated team work Monday – Friday, 8:30am – 4:30pm as well as Saturday 8:30am – 12:30pm. During these hours we are dedicated to helping meet our customers specific needs and helping them gain their confidence and knowledge in order to achieve what they require. If you feel as though you could benefit from our services, please don’t hesitate to get in touch with our team today on 0845 136 8147 or 07771 702066. Alternatively, you can get in touch via our contact form.